The Need For Transdisciplinarity in Higher Education Professor Basarab Nicolescu, Emeritus Prof of Physics, CNRS, France Honorary Member of the Romanian Academy Homepage: http://basarab-nicolescu.fr/ Abstract: A viable education can only be an integral education of the human being. Transdisciplinary education is founded on the inexhaustible richness of the scientific spirit which is based on questioning, and of the refusal of all a priori answers and all certitude contradictory to the facts. At the same time, it revalues the role of the deeply rooted intuition, of the imaginary, of sensitivity, and of the body in the transmission of knowledge. It is only in this way that the society of the twenty-first century can reconcile efficiency and respect for the potentiality of every human being. The transdisciplinary approach will be an indispensable complement to the disciplinary approach, because it will mean the emergence of continually connected beings, who are able to adapt themselves to the changing exigencies of professional life, and who are endowed with a permanent flexibility which is always oriented towards the actualization of their interior potentialities. If the University intends to be a valid actor in sustainable development it has first to recognize the emergence of a new type of knowledge: transdisciplinary knowledge. The new production of knowledge implies a necessary multidimensional opening of the process of learning: towards civil society; towards cyber-space-time; towards the aim of universality; towards a redefinition of the values governing its own existence. Biographical Note: Basarab Nicolescu is the major figure of transdisciplinarity in the world. He is an honorary theoretical physicist at the Centre National de la Recherche Scientifique (CNRS), Paris, France, Professor at the Babes-Bolyai University, Cluj-Napoca, Romania; Professor Extraordinary at the School of Public Leadership, Stellenbosch University, South Africa and Member of the Romanian Academy. 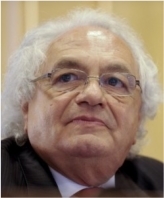 He is President-Founder of the International Center for Transdisciplinary Research and Studies (CIRET), a non- profit organization with members from 29 countries (http://ciret-transdisciplinarity.org/). He is founder and Director of the Transdisciplinarity Series, Rocher Editions, Monaco, of the Romanians in Paris Series, Oxus Editions, Paris and of the Science and Religion and Science, Spirituality and Society Series, Curtea Veche, Bucharest. Editor-in-Chief of "Transdisciplinary Journal of Engineering&Science", Texas, USA. His books include: From Modernity to Cosmodernity - Science, Culture and Spirituality, State University of New York (SUNY) Press, New York, 2014; Manifesto of Transdisciplinarity, State University of New York (SUNY) Press, New York, 2002; Science, Meaning and Evolution - The Cosmology of Jacob Boehme, Parabola Books, New York, 1991. He edited Transdisciplinarity - Theory and Practice, Hampton Press, Cresskill, New Jersey, 2008. Keynotes Eastern Europe's Semiconductor Technology and its Merging into the Globalization Trend Dr. Constantin Bulucea, IEEE Fellow, USA Honorary Member of the Romanian Academy Abstract: Emerging from isolation in forced economic independence, the semiconductor industries in the East-European block are seen as having recently gone through a decade of government-backed growth and economic collapse (1981-1990), followed by one of rough transition to the market economy (1991-2000), and by one of stabilization to a new equilibrium within the globalization trend (2001 to 2010). Concurrently, the Western industries had their growths, enthusiasms, delusions and corrections. The dynamics of these evolutions will be illustrated with landmark achievements associated with advancing on corresponding "Moore's Law" curves. At the world level, relatively longer times are observed from invention to application, as the complexity of the new processes and systems increases. It has taken only 5 for the bipolar IC invention to find its application in space guidance computers versus 13 years for the Complementary Metal-Oxide-Semiconductor (CMOS) Integrated Circuit (IC) invention to be used in primitive microprocessors (20 for more practical ones). This observation is important when projecting the application of nanotechnologies to Very-Large-Scale Integration (VLSI) electronics. The discussion will continue with a discussion of what is expected to happen in the East in the following years. Learning from the observed unpredictability of the semiconductor industry, the speaker will make cautious predictions, still insisting on the very-high-technology commodity characteristic of digital VLSI electronics. Correspondingly, VLSI manufacturing will be concentrated in very few global foundries having virtually unaffordable price tags in the range of $10B. However, the design, modeling/simulation, and testing of suchproducts will remain realistic everywhere. Among other areas of realistic opportunities, the speaker will suggest analog and mixed-signal ICs, power switches and photovoltaics, TCAD, and nanotechnology, each commented separately. For the latter, reduction to practice appears to be the most critical expectation. The globalization-related unemployment will be briefly commented based on statistical distribution of skills in population.The speaker will footnote his presentation with a slide on the contributions to world's science and technology of those who chose to leave their countries and join the Western community. 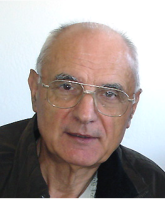 Biographical Note: Constantin Bulucea was born in Romania, where he received the titles of inginer and doctor-inginer in Electronics from the Polytechnic Institute of Bucharest in 1962 and 1974, respectively. In 1969, he was granted a one-year government scholarship at the University of California, Berkeley, where he received the Master of Science degree in Electrical Engineering. His professional career spans 50 years, equally split across the Romanian and US semiconductor histories. In Romania, Dr. Bulucea was the scientific director and director of the R&D Institute for Electronic Components (ICCE) between 1974 and 1986, with assignments of national importance, such as the introduction of silicon transistor technology and the development of the process technology for the Microelectronica MOS/VLSI plant. From that period, his personal legacy includes the creation of the Annual Conference for Semiconductors (CAS), now an international IEEE event, a graduate course and book on Linear Integrated Circuits and reference papers on surface breakdown and hot-carrier injection in silicon, originally communicated at IEDM and later published in the IEEE Transactions on Electron Devices and Solid-State Electronics. In the US, Dr. Bulucea remained on the technical side of the semiconductors business, so enjoying the last years of Silicon Valley's "Happy Scaling". In particular, at National Semiconductor, he was the architect of company's 0.25, 0.18, and 0.13 m CMOS processes for analog and mixed-signal applications. Before that, he brought to completion Siliconix's device/process architecture for the next generation of trench power DMOS transistors, which became an industry standard in the following years. 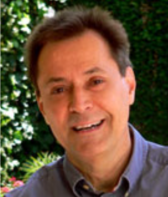 He has published over 50 technical articles in international journals and holds 60 US patents. In 2011, he became a Distinguished Member of the Technical Staff of Texas Instruments (TI), as the result of TI's acquisition of National Semiconductor. He retired from TI the following year, on his 72nd birthday. Dr. Bulucea is an IEEE Fellow and an Honorary Member of the Romanian Academy. Flying with Eagles: a Tale of Four Countries Professor Gheorghe Mateescu, Emeritus Prof of Chemistry,Case Western University, Fellow, International Society for Magnetic Resonance in Medicine Honorary Member of the Romanian Academy Abstract: In this keynote speech I will first express my gratitude for the honor that has been bestowed upon me by the members of the American Romanian Academy. I will then briefly describe the most important moments of the first part (39 years) of my life in Romania and of the second part (47 years) that I lived in the United States of America. I will explain why, all this time, I have been a “very lucky man.” I will explain how I succeeded to make my happiness overcome my sorrows. In order to leave with you something more useful than sharing my emotions with you, I will also introduce you to the essence of MRI (Magnetic Resonance Imaging), my present “cup of tea.” I will try to do this in a way that will be accessible to any intellectual, from any walk of life. Some of you will be surprised to find out that MRI is overwhelmingly based on the chemical and magnetic properties of water in our body. I will also try to put this in the perspective of transdisciplinarity, that began fascinating me the moment I learnt that Basarab Nicolescu, the other keynote speaker of this meeting, is one of the champions of this foretelling idea. Biographical Note: Gheorghe Mateescu was born in Pitesti, Romania, and studied in Pitesti and the “D. A. Sturdza” Military Lycée in Craiova. After graduation in Pharmaceutical Chemistry in 1951 at the School of Medicine and Pharmacy of Bucharest (first Polarography thesis in Romania), Mateescu performed research and clinical laboratory work at the Central Military Hospital in Bucharest. While there, he became a coworker of Costin Nenitzescu, Romania’s most prominent chemist. In 1964 he officially moved to the Organic Chemistry Center of the Romanian Academy, as research associate, under the leadership of C. D. Nenitzescu. During this association, Mateescu introduced modern Infrared (IR) Spectroscopy and Nuclear Magnetic Resonance (NMR) in Romania. This earned him (in 1967) a stipend to specialize in NMR at Case Western Reserve University in Cleveland, Ohio. He completed his PhD in 1971 with George A. Olah, Nobel laureate in Chemistry. At Case, Mateescu established a visionary Major Analytical Instruments Facility (MAIF) that included one of the first Fourier-transform high field NMR instruments, and a high resolution MR Imaging (MRI) scanner. In 1973 he was the Director of MAIF and Adjunct Associate Professor. In 1978 he was appointed Professor in the Department of Chemistry. He co-authored two books: “Infrared Spectroscopy” with Margaret Avram (Wiley, NY, 1972) and “2D NMR – Density Matrix and Product Operator Treatment” with Adrian Valeriu (Prentice Hall, NJ, 1993). In 1980 he taught the very first course on MRI in Radiology at Case’s School of Medicine. 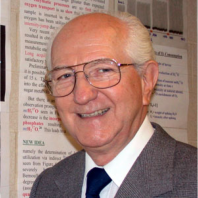 In 1991 Mateescu earned the John S. Diekhof Award for excellence in graduate teaching and in 2009 he became a Fellow of the International Society for Magnetic Resonance in Medicine for his pioneering research in Oxygen-17 MRI and MRS and for outstanding services to the Society, particularly the organization of 15 International Summer Schools on MRI, that led to the establishment of a strong MRI School in Romania. Mateescu’s scientific achievements include the IR characterization of cyclobutadiene, the first application of ESCA (Electron Spectroscopy for Chemical Analysis) in organic chemistry, particularly demonstrating the existence of Olah’s non-classical cations, the preparation and definitive characterization of protonated water (the hydronium ion), the isolation and characterization of the water monomer and its fundamental chemistry, the first Oxygen-17 image, and the first applications of O-17 and deuterium MR for in vivo determination of mitochondrial function (simultaneous measurement of glucose and oxygen consumption). He is an honorary member of the Romanian Academy, of the Romanian Chemical Society, and of the Romanian Biophysical Society. He was awarded an honorary PhD by the Polytechnic University of Bucharest and an honorary MD by the “Carol Davila” School of Medicine of Bucharest. For his decisive role in establishing the School of Magnetic Resonance Imaging in Romania, he received, in 2004, the Commodore Order of the Star of Romania, established by King Carol the First in 1871. Currently, Mateescu is Emeritus Professor of Chemistry and Visiting Professor at the Case Center for Imaging Research, where he loves” to introduce outstanding undergraduate students to the research of the Future. His dream: to demonstrate the existence and role of water monomers in live organisms, particularly in the human brain. Recently, Professor Mateescu endowed two awards for meritorious students, one in Chemistry, and one in Biomedical Engineering. Petru Popescu Petru Popescu ran away from Communist Romania when he was that country's youngest and most talked-about dissident novelist. A direct conflict with dictator Ceausescu made him ask for help from illustrious American authors, including John Cheever, Saul Bellow, and John Ashbery, who pressured Ceausescu to give Petru a passport -- still, Petru's escape was dramatic and dangerous. He came to California in 1977, and after studying at the American Film Institute began to write screenplays in English; his first script, The Last Wave, co-written with director Peter Weir, became a cult classic. His political thriller movie Nobody's Children, about the plight of Romanian orphans, received accolades from critics and audiences alike. Soon, Petru started writing fiction again, in English. Amazon Beaming (1991) and Almost Adam (1996) became NY Times bestsellers, while the nonfiction books The Return (1997) and The Oasis (2001) were acclaimed by authors like William Styron, Elie Wiesel and John Ashbery (more detailed data and year dates to be found at www.Petrupopescu.com.) Petru's latest novel, GIRL MARY, out this September from Simon&Schuster, is a historic novel based on the life of Mary of Nazareth. As Deepak Chopra said in an endorsement: Girl Mary brings the people and settings of Biblical antiquity to life with compassion, vivid storytelling, and an unerring eye for the Rightness of the world's greatest story. It will speak to anyone who cherishes the essential humanity of our foundational spiritual traditions. - Deepak Chopra, author of Perfect Health Petru takes great interest in male-female relationships. He explains that he is trying to understand history through iconic characters rediscovered and reinterpreted, and that his recurring themes are love and the female character. Petru lives in California and is married to designer Iris Friedman. They have two children, Adam and Chloe.